SK 1/c Louie H. Loutherback, husband of the former Loyce O. Briggs, graduated from ManitouHigh School, OBU,Shawnee and Draughons Business College. 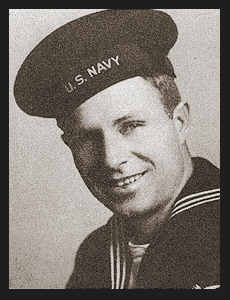 Entered Navy in 1943, trained in Camp Peary, Va., Camp Rosseau, Cal. ; served in the Cantons, Guam and the Hawaiians; is now enroute to U.S.